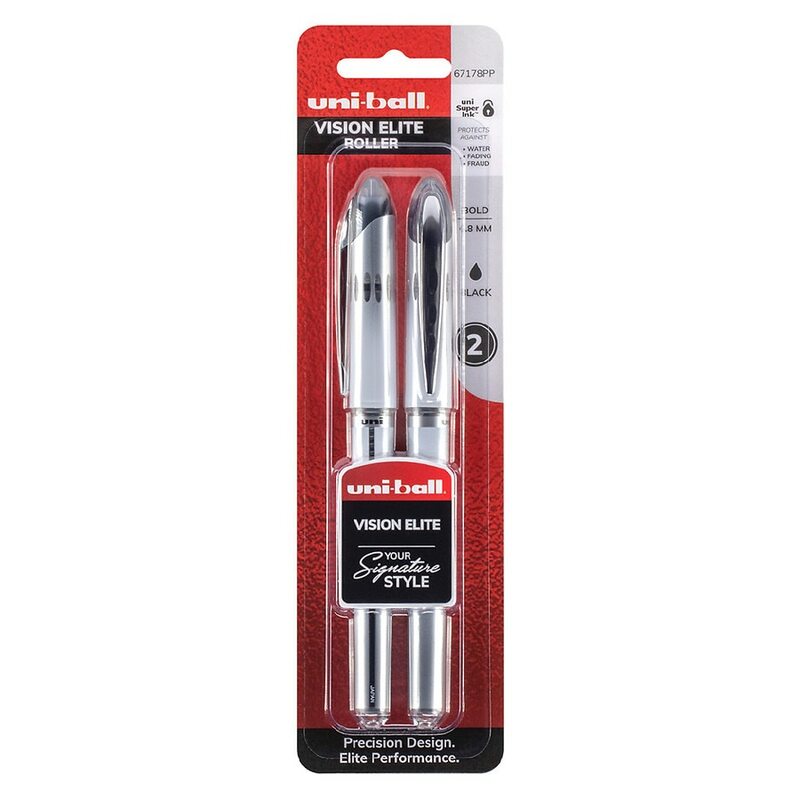 Uni-Ball Vision Elite Roller Ball Pens 0.8 mm Black2.0 ea. When inspiration strikes, count on the performance and design of Uni-Ball. Consistent, free-flowing ink delivers fluid writing the moment pen hits paper. Airplane safe ink will not explode or leak due to a change in cabin pressure during flights. Exclusive Uni-Flow Ink System provides consistent smoothness and color intensity. Features Uni Super Ink that helps prevent against check and document fraud.